Help me Understand: Why is it Easier to Buy a Gun than it is to Get a Driver’s License? Look, I’m not anti-gun, but something’s gotta change. I don’t own a gun and probably never will and if it was up to me they wouldn’t even exist, but I’m not opposed to you owning them. I acknowledge there are some rational reasons for owning them. And despite the NRA’s fear mongering about the government wanting to confiscate everyone’s guns, let’s be real… that’s not practical, so stop crying foul. I know you hear “but Australia got rid of their guns in 1996 and voilà, no more mass shootings!” a lot. While I applaud Australia’s successful measures (it really has worked) and there’s a lot we could learn from them, it doesn’t seem like a practical solution for the U.S nor is it an accurate comparison. Not only was the world a very different place in 1996 (think about it: the Internet was in its infancy back then; the spread of ideas both good and bad happened at a snail’s pace), the right to bear arms is written into the U.S. Constitution and it has since woven itself into the very fiber of our culture. Australia’s measures were successful in part because they do not have a bill of rights like the U.S. does and thus their government was able to mandate a buy back program, reclaiming upwards of 1 million firearms. Not to mention, at the time there were “only” an estimated 3–5million guns in Australia. By comparison, there are approximately 300 million guns in America — practically as many guns as there are people. Even if the government wanted to confiscate your guns, the effort would sadly be measured in blood, not sweat. If we put the issue of mental health, which I think we can all unequivocally agree is a significant factor that has led to a lot of senseless gun violence, aside for a moment… I want to understand why it is we can’t all agree on common sense gun control reform. 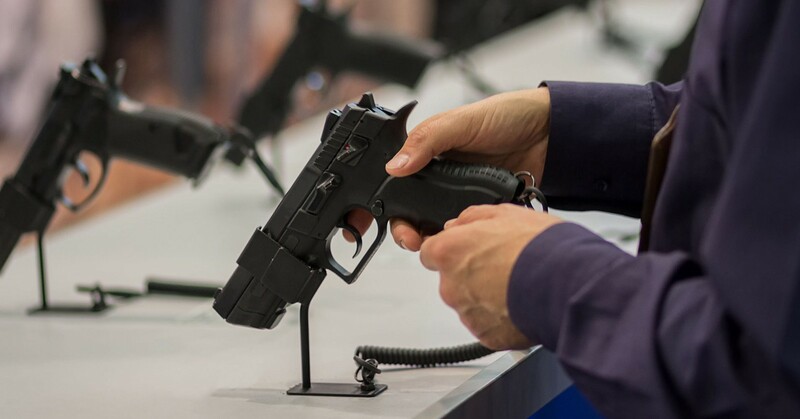 Can you — gun owners, gun lovers, hunters, and second amendment advocates— help me understand why it’s easier to buy and own a gun than it is for me to get and maintain a driver’s license? In the United States, in most cases, I can go to a Wal-Mart, give them my driver’s license, purchase a gun, and walk out. No questions asked, no training, no nothing. Free and clear. Yet for me to obtain a driver’s license and buy a car, I have to go through lessons in a classroom, lessons behind the wheel, a year of supervised driving with a learner’s permit, a written test, a visual test, and a driving test. And to own and operate a car, I have to register that vehicle with the DMV and maintain insurance. Not to mention, I then have to get re-tested every 10 years. I admit there are many cultural factors that make Japan’s laws successful, e.g. a constitution that forbids guns (and swords); a culture of honor that deeply respects one another, society, and life; and fewer socioeconomic disparities, but these laws are straightforward examples of common sense gun laws – it’s not saying you can’t have a gun or that your gun will be stripped from you. All we’re saying is you shouldn’t just be able to walk into a store and buy one like you do an iPhone. Yet, here we are yet again after another mass shooting in a shouting match on gun control which will inevitably lead to a stalemate that perpetuates more inaction. Help me understand why, in most states, it doesn’t require a license (or any accreditation) to own a gun? Help me understand what the argument is against gun owners being required to go through any sort of training? Not even a gun safety course (except Maryland and Rhode Island), let alone actually firing the thing. Help me understand why it isn’t mandatory to have guns registered so that gun owners are held more accountable for their safe use or if their gun is stolen (a contributor to guns ending up on the streets), authorities can understand where it came from? Help me understand what the argument is against mandating that all gun owners have insurance so that if their gun inadvertently hurts or kills an innocent person, the victim or their family can be made whole again? Help me understand why an NRA-endorsed bill like the Sportsman’s Heritage and Recreational Enhancement (SHARE) Act that wants to make it easier to purchase a silencer (to supposedly protect hunters’ ears) is even up for a vote. More than 11,000 people have been killed by guns in 2017 already — how many hunters have gone deaf? Help me understand what the argument for anyone to have a semi-automatic or fully automatic weapon is, besides “Because it’s fun” or “Because I can” or why they even exist outside of military applications? And yes, help me understand what the argument is against making gun buyers undergo a thorough psych evaluation before they’re sold a dangerous weapon. If you’re thinking to yourself, “It’s because it’s a constitutional right and law-abiding citizens shouldn’t have to jump through all these hoops to buy and own a gun,” well, then help me understand why your (hell, call it “our”) convenience is more important than potentially saving lives. Listen, I know these gun control measures won’t solve everything overnight, especially not until we address other systemic issues like socioeconomic inequality and mental health. Even if we got everything we wanted tomorrow, there would still be 300 million guns in this country, many of which will sadly still be used for nefarious reasons like today’s terrorist attack in Las Vegas. There would still be illegal firearms floating around the streets of south Chicago that would still lead to more gun deaths (though, a majority of those firearms were actually purchased in nearby Indiana where gun laws are more relaxed and smuggled into Chicago or purchased at a gun show in Pennsylvania and smuggled into New York). And yes, there would still be countless accidents, but genuinely reforming our gun laws is about doing everything in our power to mitigate senseless injuries and deaths and stop the rampant and unnecessary proliferation of guns in this country. Above all else, smarter gun control laws will help evolve the toxic culture of guns in America perhaps not for us today, but for future generations — perhaps a generation that respects how dangerous and destructive these weapons actually are and actively keeps them out of untrained, unfit, unknown hands. Perhaps a generation in which owning and handling a firearm is not some laissez-faire, willy nilly hobby, but a right exercised with a much more profound sense of responsibility, caution, deliberation, and scrutiny. Maybe then we can actually get somewhere with this argument and create a safer country for ourselves. Quit my job to follow some dreams and find out what the world needs and how I can contribute. Formerly Audi, Nike, 72andSunny, Red Bull.